The Perks of Buying a Home in Branson!!! 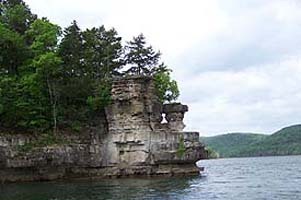 Visiting Branson as a tourist is so much fun, with Beautiful scenery here in the Ozarks, Imagine Living here in Branson! There are many perks to being a local! Have you visited Branson and realized there just wasn’t enough time to see ALL the shows you wanted to see…or maybe you planned to Drive out to Table Rock Lake but didn’t have the time. As a local you have ALL that Branson has to offer as soon as you leave your Home Every Day! Many shows and restaurants also offer Locals discounts. All the Shopping centers Branson has to offer at your hands EVERY Day! There is a down side to living in Branson, All the tourist traffic, however as a local you will learn the other routes around Branson so as not to be late to work, etc. There are many local restaurants with great food and less tourists that you will come to know and indulge in. Being a Local in Branson is Great! ALL that Branson and the beautiful Scenery surrounding Branson has to offer, and you have access to it Every Day instead of just a week! Many great Homes for Sale in Branson and the surrounding areas. You want a low maintenance Condo, We got it! You want a cabin on Table Rock Lake? We got it! you want a house outside of Branson, but still a short drive to Branson? We got it! Think about it..It could just be the MOVE for YOU!